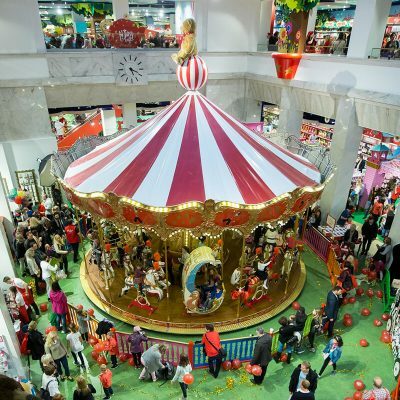 Welcome to Hamleys – the world of never-ending fun, wonderful toys and games and last but not least: amazing attractions! 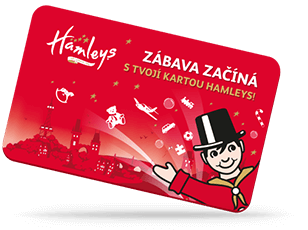 To explore and try them all, you will need one little card – oh wait, it’s me, the Hamleys Card! Always keep me in your pocket, and then all that’s left is to jump straight into the magic world of toys and fun! Pick me up at the customer service or at the cashier's desk. Top me up and we're ready to roll! What a dream, right? 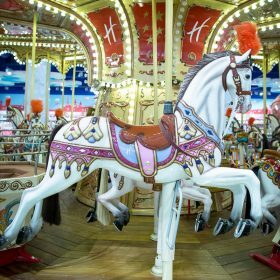 A colossal carousel full of hopping wooden horses and comfy royal carriages – all of them gleam, sparkle and the music is playing loud. So, what are you waiting for? Jump on and let the ride begin! You will need me for this attraction. 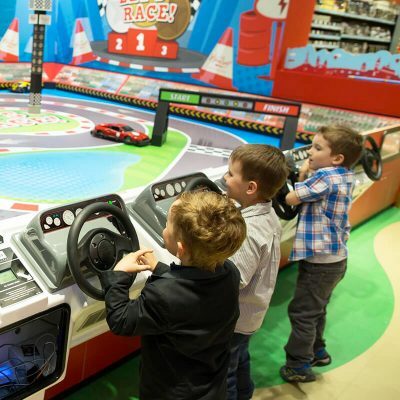 Everything at Hamleys is so much fun – even when one gets lost! 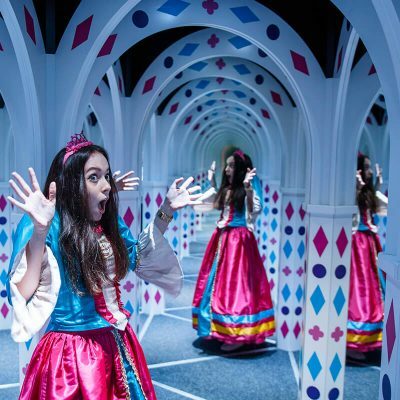 Enjoy a lot of fun in a modern mirror maze full of special laser effects and mysterious music background. As soon as you will find a way out, another funny activity will be awaiting: distorted mirrors at the end of the maze will reflect you and your friends in the most bizarre shapes and forms! Who has not ever dreamt of becoming an excavator operator? 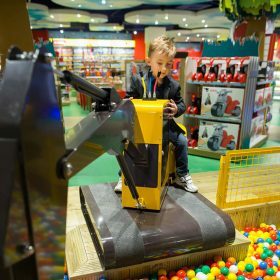 The feeling of being able to control a machine just by pulling the levers and pushing the buttons, digging the holes and moving loads of various stuff… Well, you can fulfill even this dream of yours at Hamleys! Just get behind the levers and go for it! 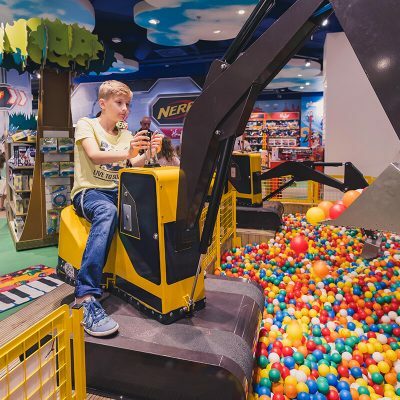 There are 12 thousand of colorful balls, so you won’t ever be short of the material! Ready, set… GO! 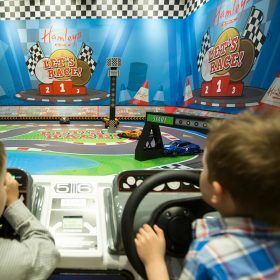 A car race has just started and the hero in this race is you. Compete against your friends or whoever will be brave enough to accept your challenge. Whose remote-control car will finish first and win? Wow, this is something you don’t just experience every day! 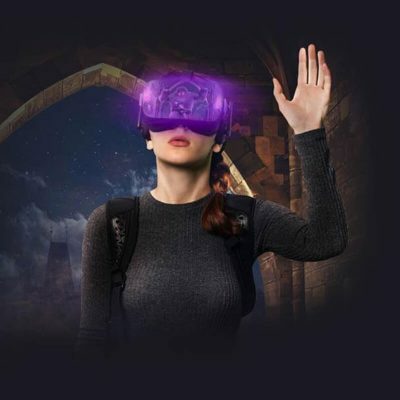 Come and dive with me into to the fantasy world of virtual reality. 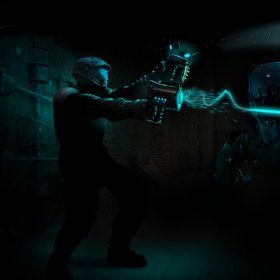 All you have to do is to put on a special headset, grasp the controllers and have fun! Your friends or parents can watch everything you do on the screen, no matter if you are just chasing through the battlefield in Blue Effect, cutting the fruit in the popular Fruit Ninja or becoming a cook, a mechanic or a painter! Get ready, the game is about to begin! 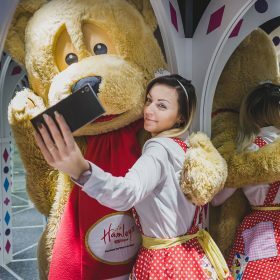 Go explore the basement of Hamleys, a huge surprise is waiting for you there! Just with one wave of the magic wand, you will find yourself in the middle of an abandoned mysterious temple, surrounded by the tropical forest. 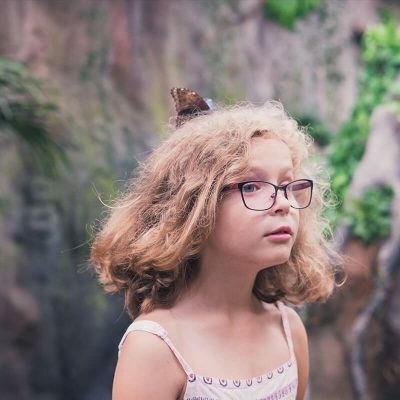 The ambient temperature will be 26°C and up to 600 colourful butterflies will fly all around you. 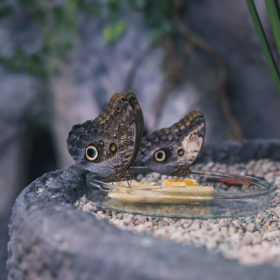 Observe as the winged beauties are hatching into this world and become the witness of the first day of their lives. And last but not least, do not forget to take photos! You get 15% discount on this attraction with me. 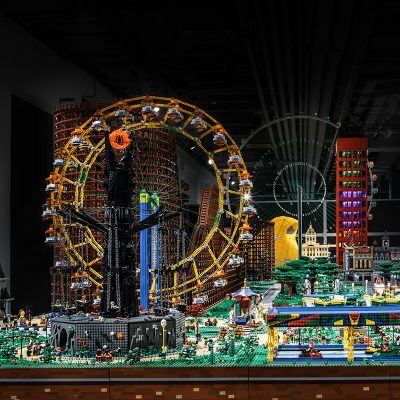 Visit the Czech Repubrick exhibition with its space of more than 900 m2 and get to know how it would be like to live in LEGO wonderland country. The inquiring Legolem shall be your tour guide. You will discover all the Czech landmarks in one place! 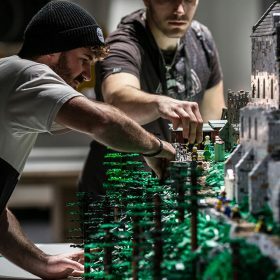 Legolem will show you the Karlštejn Castle, the Ještěd TV Transmitter, the St. Vitus Cathedral, the interiors of the Villa Tugendhat, the biggest Lego-coaster and you’ll finally find out how the camera obscura works. Set off to the Lego country full of Czech historical sights and enjoy this sort of different world. 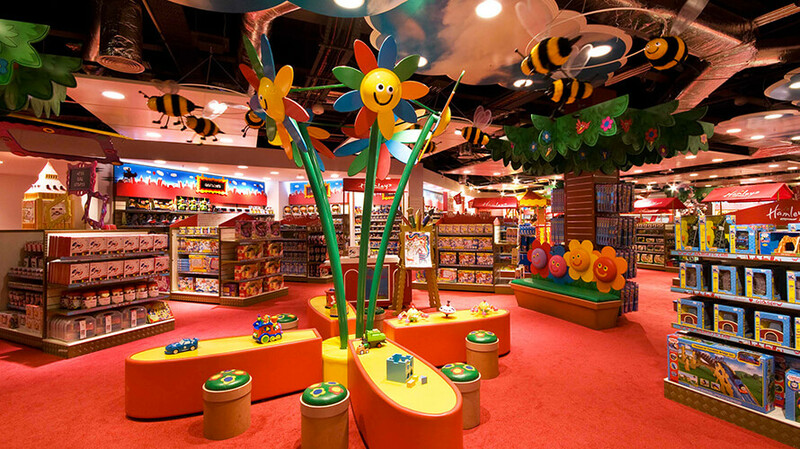 15% discount for Hamleys card holders. The discount does not apply to the family or special offer tickets. 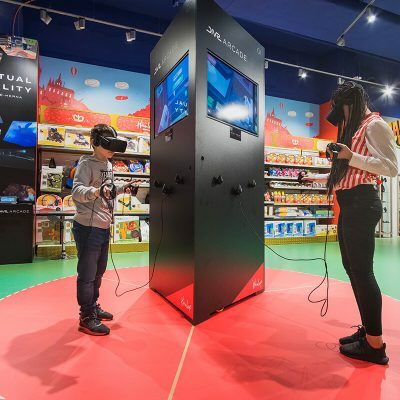 Enter the biggest VR attraction in Europe. Grab a backpack, put on VR glasses and the fun begins! All your senses will be immered in this unique multisensory experience. You’ll be teleported to Prague at the end of the 16th century, where you’ll meet the legendary Rabbi Löw. 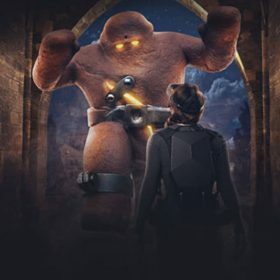 Together you‘ll find out the story behind the mythical Golem and witness his awakening during a mystic ritual.